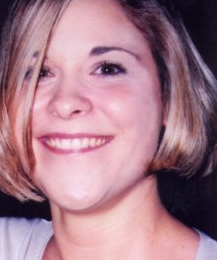 Every year, I think of her on this day: Melissa Renée Vincent. Her face comes to me at other times, too, especially when I visit Hoboken, NJ, where we both once lived. She was one of 674 New Jersey residents to die on 9/11. I didn't know her. I'd seen her face on "Missing" posters all around town in the days and then weeks following 9/11. Finally, a few years ago, I looked her up and vowed to always remember her. This year, in memory of Melissa, I donated to the Families of Freedom Scholarship Fund, which provides educational assistance for postsecondary study to dependents of people killed or disabled as a result of 9/11. She would have turned 45 on October 24, this beautiful girl. I appreciated the reminder about Families of Freedom Scholarship Fund.